Many children who have experienced serious trauma are withdrawn and closed off, making it difficult to engage with them in therapy effectively. This book offers a compendium of therapeutic activities that will help children who have endured painful abuse to open up, so that they can learn to express their feelings and therapy can be directed towards their individual needs. From useful techniques for bridging memory gaps to using masks for self-expression, the innovative activities use mindfulness, art and play to help children feel relaxed and responsive. The activities require very little preparation, and use only everyday items that are easy to access and can be used time and time again. Case studies throughout offer a helpful demonstration of how the activities work in practice. With over 70 activities designed to improve thinking, self-regulation, learning and behavior, your tool kit will be full and your creative brain will be inspired to craft your own meaningful exercises. Packed with worksheets, handouts, and guided scripts with step-by-step directions, this definitive resource can be used with children aged 6-12, but activities have been used for some from 4-72! Excellent source of activities that are fun, imaginative, and brain-based, for children and adolescents to develop attention, planning, executive function and mood management skills. As arts therapists are increasingly working in schools, there is growing interest in identifying applicable therapeutic approaches and expanding on relevant research evidence. This book outlines the potential uses of music, art, drama and dance movement therapies in educational settings, and the contribution they have to make to the emotional and social development of children and adolescents. Drawing on international evidence, the book outlines a wide range of innovative applications of arts therapies across a range of settings, including mainstream classrooms, special schools and student support units. 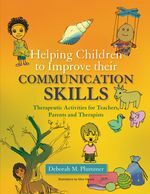 Examples of subjects covered include solution-focused brief dramatherapy groupwork in mainstream education, art therapy for children with specific learning difficulties who have experienced trauma and music therapy in special education. Particular emphasis is placed upon collaborative work, whether it be between arts therapists from different disciplines, arts therapists and teaching staff or arts therapists and researchers. Every interaction with a young person who is struggling is an opportunity for change. This highly practical guide helps school practitioners find effective solutions to academic and behavioral problems through brief counseling. It shows how to build on the ideas and resources that students, parents, and teachers bring to the intervention process, within an innovative, research-supported, time-limited framework. Extensive case material illustrates the authors' creative approach to building solutions and "busting problems" by putting clients in the driver's seat. Filled with real-world examples from both elementary and secondary settings, the book presents creative strategies for addressing disciplinary problems, poor academic performance, anxiety, compulsive behaviors, and other common difficulties. This book combines guidance for personalizing and implementing effective treatment approaches with practical materials to use in session. It describes the potential impact of trauma on children and adolescents, outlines core principles of effective treatment models, and provides practical guidance for tailoring treatment strategies to the specific needs of the individual. The featured worksheets and practical resources are designed to be compatible with evidence-based treatment models including Trauma-Focused Cognitive Behavioral Therapy (TF-CBT), Prolonged Exposure, Attachment, Self-Regulation and Competence (ARC), and Child-Parent Psychotherapy (CPP). Responding to a range of behaviors in formal and informal school settings Building a culture of tolerance and respect in the classroom Motivating disengaged students Communicating effectively with counseling professionals and parents. With an entirely new chapter on "Counseling Yourself," the book offers teachers sure-fire techniques for taking better care of themselves, in addition to the students in their schools. This book provides readers with the necessary "trauma-informed" tools to intervene on behalf of struggling students and create a beneficial educational environment. School-based programs can minimize the impact trauma has on learning and help students who may otherwise not have access to such support to develop the coping skills to manage ongoing and future stress. With examples of core treatment components and engaging case studies, this book illustrates how effective school-based interventions ensure that students have the opportunity to heal from trauma. The authors take a holistic approach to trauma-informed practices and provide a practical overview of evidence-based interventions using the Multi-Tiered System of Supports (MTSS) model. Under the MTSS, trauma interventions take place on three distinct levels that address a wide variety of students and differing degrees of trauma exposure: Universal (Tier 1), Targeted (Tier 2), and Intensive (Tier 3). Creating Healing School Communities shows how school mental health professionals, educators, and administrators can work together to help students overcome trauma and excel in the classroom and in life. Packed with hands-on tools and grounded in the latest research, this important resource provides guidelines for designing, implementing, and evaluating a schoolwide primary prevention program. The authors' team-based, school-tested approach includes behavioral, academic, and social components that can be tailored to address any school's needs. Each chapter presents real-world examples alongside essential information about how to prevent the development of antisocial behavior in grades K-12. Special features include sample forms and checklists for use in planning, staff training, screening and assessment, positive behavior support, and progress monitoring. 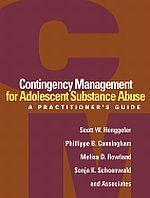 The book also offers general guidelines for identifying and supporting students who require more intensive intervention. What can schools and social care workers do to help children affected by domestic violence? Large numbers of children are affected by domestic violence. The problem crosses every social class and culture. It causes distress and anxiety in children and adversely affects their learning and play, as well as their behaviour, wellbeing and attendance. Education staff may know of a child or family in crisis, want to help, yet feel outside their comfort zone, grappling with a complex issue not covered in their training. This book describes the impact of domestic violence on children and provides support for education and social care professionals. It takes heavy workloads into account and suggests practical ways of meeting the needs of pupils who come from difficult home backgrounds. This indispensable course text and practitioner resource, now fully revised, has helped tens of thousands of readers implement evidence-based interventions to improve students' academic achievement and behavior in PreK–12. The volume presents best-practice guidelines and step-by-step procedures for 83 interventions that can easily be implemented by teachers and other school-based professionals. It is a go-to book for those working in a multi-tiered systems of support (MTSS) or response-to-intervention (RTI) framework. User-friendly features include recommended print and online resources and 16 reproducible forms and handouts. Purchasers get access to a Web page where they can download and print the reproducible materials in a convenient A4 size. Engaging, activity based, and effective, this widely used group counseling curriculum (the SPARK program) is designed for flexible implementation in school or clinical settings. The program helps youth build skills for school success and social-emotional growth while exploring such crucial topics as personal goals, ethnic identity and prejudice, and peer pressure. 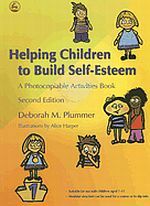 This book is packed with fun and effective activities to help children develop and maintain healthy self-esteem. New and updated material has been added including a section on running parent groups alongside children's groups, as well as a brand new layout, fresh illustrations, an expanded theoretical section and extra activities. Based on the author's extensive clinical experience, this activities book will equip and support teaching staff, therapists and carers in encouraging feelings of competence and self-worth in children and their families. This creative book is full of fun and imaginative ideas to help children aged 4�11 with a speech or language delay or disorder to develop their communication skills. It is packed with activities and games specifically tailored to help develop skills such as articulation, vocabulary development, breath control, conversation skills and non-verbal communication.A comprehensive theory section supports the ideas presented, and practical advice on working with groups and individuals and in different settings is also given. 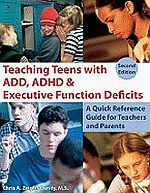 This book presents an innovative model for supporting executive function in students with attention, memory, organization, planning, inhibition, initiative, and flexibility difficulties, including those with ADHD, ADD, autism spectrum disorders and related The author advocates a student-centred approach in which educators first explore 8 key 'ingredients' with the student: relationships; strengths and weaknesses; self-advocacy and responsibility; review and preview; motivation and incentive; synthesis and analysis; rhythm and routine; and practice and repetition. She provides a step-by-step explanation of how these 'ingredients' can then be used in different ways and in different combinations to successfully address particular areas of difficulty.conditions. (Grades 2-6) This book addresses the most often misunderstood piece in the puzzle of the sexual victimization of children, and that is acquaintance molestation. In a non-offensive manner, it takes the extremely sensitive issue of child-molestation and presents it in a way that gives the victim power and strength. Can be used to teach children and adults to recognize and prevent traps set by acquaintance molesters. It can also be used as a diagnostic and therapy tool helping to relieve blame and guilt for both child and parent. The 7 Habits have already changed the lives of millions of people. This book shows how children can use them as they develop. Those habits - be proactive, begin with the end in mind, put first things first, think win-win, seek to understand and then be understood, synergize, and sharpen the saw, - are critical skills to learn at a young age and bring incredible results, proving that it's never too early to teach someone how to live well. Mental Health is now a mandatory component of the PSHE (Personal, Social and Health Education) curriculum. This book is a practical guide for teachers, explaining the difference between counselling and counselling skills, as well as looking at how mental health issues affect children's behaviour, self-esteem, motivation and achievement and so on, and what the school can do about this. lesson ideas and plans for PHSE. Necessary reading for anyone concerned with student wellness and effective schools! For many children, schools are the main or only providers of mental health services. In this visionary and comprehensive book, two nationally known experts describe a new approach to school-based mental health�one that better serves students, maximizes resources, and promotes academic performance. The Positive Life Changes Program is designed to help you learn more about how to make effective decisions. It is about empowering YOU to know your strengths, identify challenges, overcome obstacles, and make life choices that have positive outcomes for you and others. Five important ideas are emphasized throughout - Be aware, - Build on your strengths, - Make a difference - Connect with others, - Think, think, think. In The PTSD Workbook for Teens, a trauma and post-traumatic stress disorder (PTSD) specialist offers worksheets and exercises to help teens recover from traumatic events and symptoms of PTSD, such as insomnia, flashbacks, hypervigilance, and depression. This workbook is based in evidence-based treatments for PTSD, including trauma-focused cognitive behavior therapy (CBT) and dialectical behavior therapy (DBT). A guide for using play therapy in preschool and elementary school settings to help children prevent or resolve psychosocial difficulties. Offers the latest techniques to help school counsellors, psychologists, teahers, and social workers. Using insights from theory, research and classroom practice, it provides strategies and techniques that will enhance the confidence of primary school children through authentic learning experiences. This book includes: -discussions on a range of issues surrounding self-esteem enhancement in school -studies of recent work in this area -links between self-esteem and the development of competence -research evidence from real primary classrooms -a clear articulation of strategies and techniques to use in classrooms -a summary and analysis of the key theoretical and empirical work in the area. Trauma can result from a range of experiences from bullying to witnessing violence to living through war. This book explores the different reactions children may experience, and the impact trauma can have. Appropriate and effective ways of helping children after a traumatic event are outlined, and different types of therapy are discussed, including group therapy and cognitive behavioural therapy. The book offers case examples and practical tips throughout, and includes a chapter on how someone working with a traumatized child should also take time to help and look after themselves. Audience: Mental health professionals and teachers who work with 3- to 18-year-olds in clinical and school settings. Eating Disorders, depression, gender confusion---these sound like problems for other people, but the reality is your students are dealing with them every day. The issues that girls face are growing in complexity and number. What we haven't figured out completely is why they do the things they do, how the world around them affects their choices and opinions, and what that means for youth ministry until now. In this boo you'll find advice from counsellors and veteran youth workers, along with helpful suggestions on how to minister to teenage girls. Each chapter includes discussion questions to help you and other youth workers process the issues your own students face and learn how you can help them and mentor them through this tumultuous time. In addition to the traditional issues people commonly associate with girls, such as eating disorders, self-image issues, and depression, author Ginny Olson will guide you through some of the new issues on the rise in girls lives. You ll understand more about issues related to: Family Addiction Emotional well-being Mental health Physical welfare Sexuality Spirituality Relationships"
A funky and informative workbook designed to help teenagers make good decisions when taking the sometimes scary step of entering life after school. Utilizing an innovative approach to career counseling for "Generation Y," it encourages students to focus on their strengths and interests, not "the job.